Most beginners start with an acoustic guitar, be it nylon string or steel string, and so beginner acoustic guitar lessons might be the best place to start. Whether your first love is acoustic music or you are using it as a stepping stone to the electric guitar, there is an impressive foundation of skills that can be learned on the acoustic guitar that will translate to every area of your future guitar playing. Both left and right hand techniques as well as rhythm and timing skills can be mastered here, in addition to learning chords, phrases, and all your favorite songs. It’s really important to realize that from a mechanical point of view, acoustic guitar is the same as electric guitar in terms of number of strings, tuning, chord shapes, picking, and scale and arpeggio work. For those students who absolutely love acoustic guitar music, either in solo guitar form through instrumental fingerstyle soloing, or through the highest quality of acoustic guitar accompaniment styles, like Dave Matthews, John Mayer, James Taylor, or Paul Simon, to name a few, this is where you want to begin your study of the guitar. 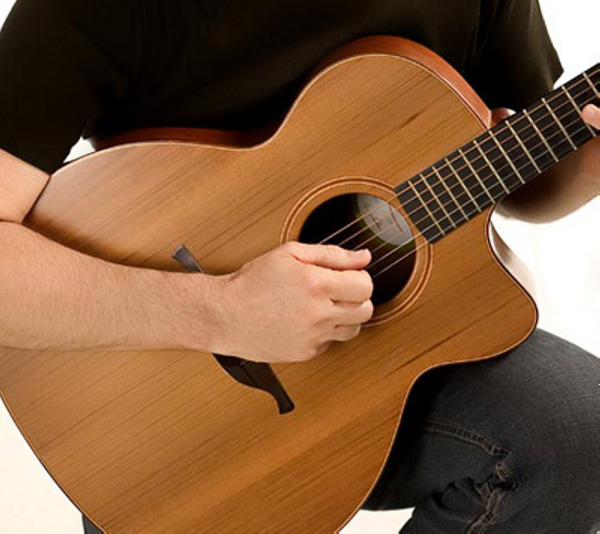 With a great foundation from beginner acoustic guitar lessons, you’ll be able to go deeper and deeper into the variations of accompaniment and soloing styles, building a style that suits your interests and brings out your love of the acoustic guitar. Even if acoustic guitar isn’t your first love and you are only beginning with it because someone in the family had one and so you thought you’d give it a try, or it was the most economical way to start playing the guitar, or you’re just going along with mom & dad, grandma & grandpa, or your husband or wife to prove you’re really serious before buying an electric guitar and amp, beginning with an acoustic guitar can actually be an enormous advantage to beginning with an electric guitar. It takes way more hand pressure to play an acoustic guitar compared to an electric, so by beginning with an acoustic guitar, the hand strength you will gain will allow you to play any kind of guitar in the future. The beauty of the acoustic guitar is its portability. There are hundreds of venues for playing out in almost every city, from coffee houses with their open mic nights, to colleges, to libraries, and churches. As you’re learning how to play, you can visit these venues and meet the local players, with an eye towards eventually performing there yourself if the spirit moves you. That only scratches the surface of the opportunities to play, like around the campfire at beach parties or on campouts, at family picnics or other outings, or even in complete isolation out in nature playing to the forest or the hillside. 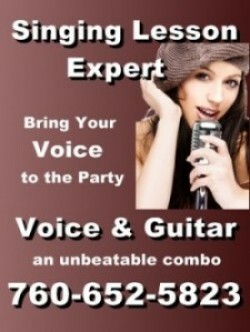 Remember, the better the foundation that you create on your instrument, the better your development will be as a budding acoustic music artist, and there is no better way to secure that foundation than by taking beginner acoustic guitar lessons from a master guitar teacher, and the Guitar Lesson Expert is a great place to look.